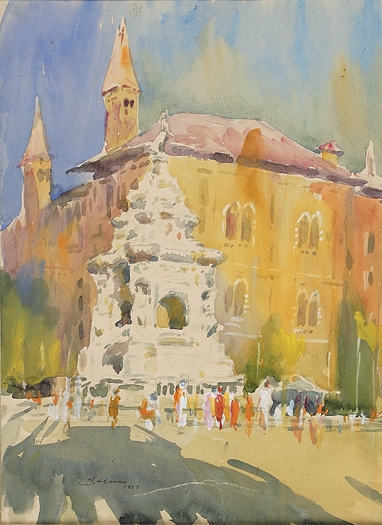 Baburao Sadwelkar grew up in Kolhapur reading books on the great world painters such as John Sargent, J. M. Whistler and Augustus John. Later in Bombay, at the Sir J. J. School of Art, his notions of art underwent considerable change, now valuing the European impressionists – Manet, Monet and Degas. 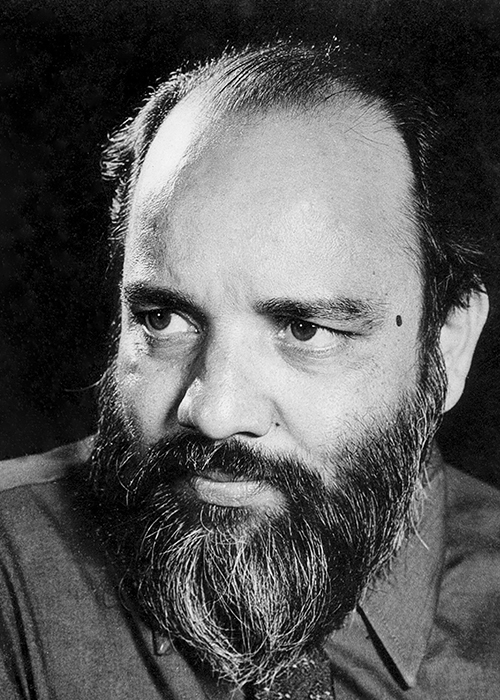 In 1956, Sadwelkar was invited to join the Bombay Group and participated in all the shows of this group till 1962. The influential Europeans in Bombay – Rudolf Von Leyden, Walter Langhammer and E. Schlesinger – thought highly of Sadwelkar’s nuanced skill in portraits. 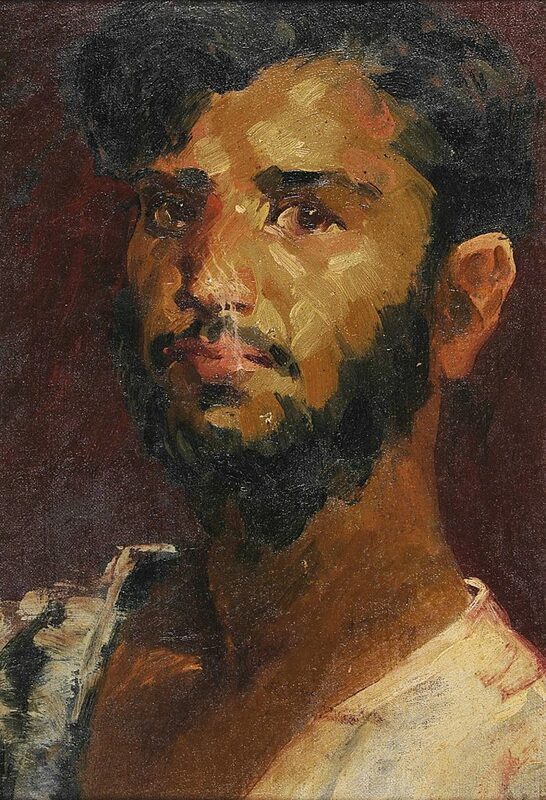 Making portraits, Sadwelkar said, was ‘a spiritual and alluring act’, and his portraits, in their attempt to draw out the innate character of his sitters, feel like a journey into a being. 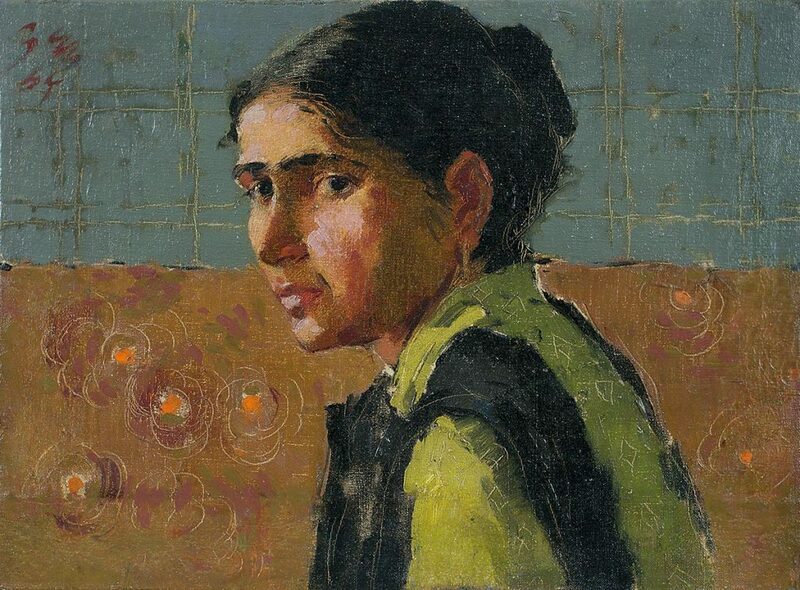 Not wanting his passion to rule his profession, Sadwelkar moved away from portraits and towards landscapes, interested in impressionism and the high ideas of modern art. Impressionistic in treatment, his later works reveal free brushwork, which creates a patchwork of colour sensations defining the subject. The brighter patches balance the darker tones in a striking manner and the browns help establish visual continuity. 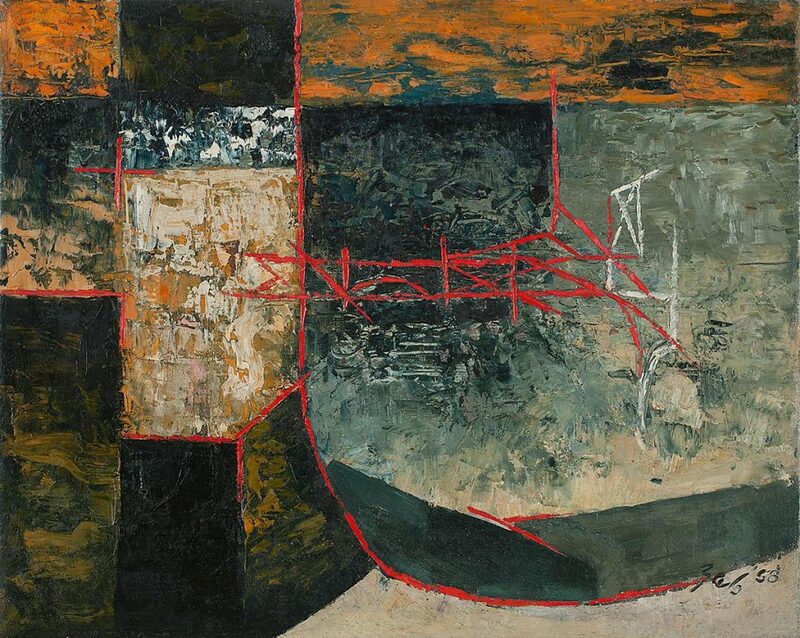 Compositionally, the viewer is led from light to dark, from under the head of the painter to his eye that looks straight out, perhaps to the future. 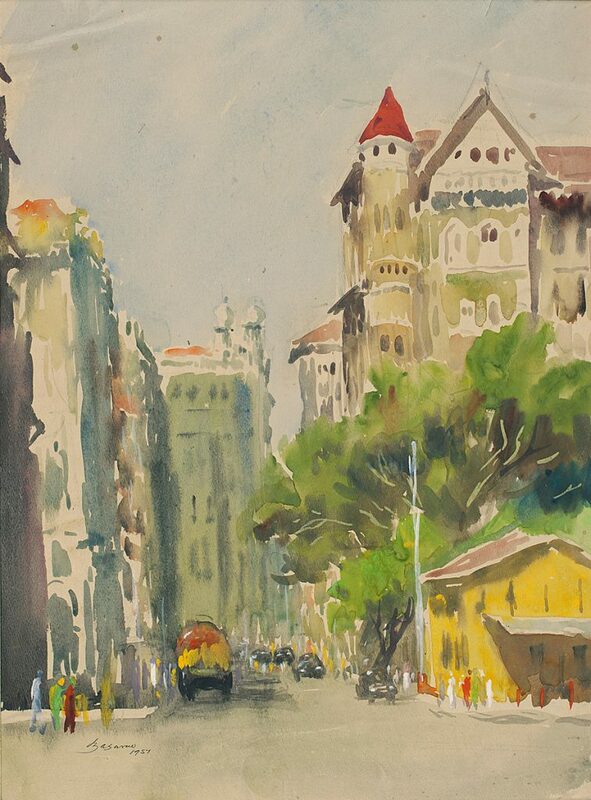 An important member of the art fraternity in Bombay, Sadwelkar was selected to the Board of Trustees, Prince of Wales Museum in Bombay in 1990-91.